Approved defensive-driving - it's online and easy! Don’t waste your time driving to a boring classroom when you can take your state approved defensive driving entirely online. 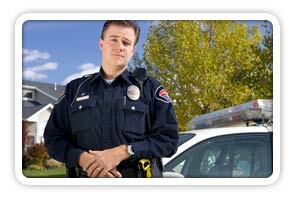 With USDefensiveDriving.com you can get your traffic ticket dismissed without stress. Our online and educational defensive driving course is guaranteed to deliver exactly what you need to take care of your traffic safety needs in a timely, TX approved manner. Your Completion Certificate is included and mailed directly to you for free after you finish your Texas defensive driving program. This certificate is required in order to have your ticket erased, so getting it to you a in a timely manner is important to us because we know it's important to you. Being in business for 15 years now, we realize that having your ticket dismissed fast and easily is a top priority. That's why we offer all the basic defensive driving services you need plus additional services to help accommodate your unique situation. For example, if your court deadline crept up on you and you need your certificate delivered ASAP, we have rush delivery options to help you make your court due date. On top of that, we supply educational DVDs, like the award winning Rules of the Road DVD. At USDefensiveDriving.com, we've got everything you need to get back on the road safely. TX offers great insurance discounts for eligible residents who complete an accredited defensive driving program. To see if you qualify for a defensive driving program insurance discount, contact your insurance agent today. Most residents qualify! With Northern TX defensive driving you can rest assured that you're getting online classes from a tested leader in Internet traffic ticket education. Our online courses are engineered by partners with more than 15 years experience of teaching defensive driving classes to both adults and teens. Our courses are Texas state approved and always backed up with our 100% money back guarantee! Why Take Risks When it Comes to Your Safety? Our online courses are powered by the leader in the Texas Online Defensive Driving community- The Online Traffic School, Inc. When you go with Northern TX Defensive Driving, you get full access to the best online safety course, fully backed by the The Online Traffic School, Inc personal promise - you get the best State Approved Online Traffic Safety Class or your money back - now that’s an online defensive driving course you can rely on!